The credit card calculator is a great tool which shows you just how long it will take to pay off your current credit card debt based on your regular monthly repayments. In addition to this you can enter an amount of months you would like your credit card paid off in, and the calculator will then provide you with the amount you need to pay on a monthly basis to achieve this goal. How the Credit Card Calculator works? With this Credit Card Repayment Calculator you will see how much interest you've saved by making additional repayments with a precise monthly amount required and a goal to work towards. Remember that the amount of time it takes to pay off your credit card depends on how much you can pay regularly so we invite you to enter different figures and see what difference as little as $50 a month can make. The Calculator assumes that the Interest rate does not vary during the period of the Credit Card. In accordance if your Credit Card is based on the Standard Variable Rate, then this would mean that as market conditions change, then so does your interest rate, and the amount of your regular payment. The Calculator assumes that the year comprises of 364 days and not 365 days and further does not take into account leap years within the Credit Card period. Further it is assumed that all months are equal and do not vary. 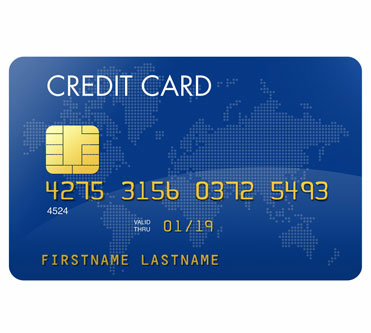 This would affect the interest charged on the Credit Card, and vary the end result. The Calculator provides results on regular monthly payments. It does not take into account week or fortnightly repayments. This would mean that there would be a slight variation to the end result as interest is calculated daily. Disclaimer - This Credit Card Calculator is not a tool which should be viewed as a quote or pre-approval for a Credit Card and you should seek the appropriate advice prior to taking out any Credit Card facility. Read full disclaimer.